A new research article was published by the team of Marion Rivalan on automated cognitive testing of rats. 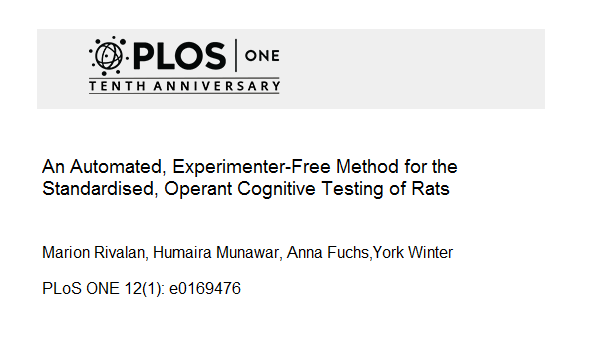 Experimenter-free testing cognitive abilities in rats. Automated animal sorter, based on radio-frequency identification (RFID) technology. Operant system (Bussey-Saksida rat touch screen) connected to group home cage. Automation reduced daily experimental time by 80%.